The traffic controlling systems at present are microcontroller-based, which is semi-automatic in nature where time is the only parameter that is considered. With the introduction of IoT in traffic signaling systems, research is being done considering density as a parameter for automating the traffic signaling system and regulate traffic dynamically. Security is a concern when sensitive data of great volume is being transmitted wirelessly. Security protocols that have been implemented for IoT networks can protect the system against attacks and are purely based on standard cryptosystem. They cannot handle heterogeneous data type. To prevent the issues on security protocols, the authors have implemented SVM machine learning algorithm for analyzing the traffic data pattern and detect anomalies. The SVM implementation has been done for the UK traffic data set between 2011-2016 for three cities. The implementation been carried out in Raspberry Pi3 processor functioning as an edge router and SVM machine learning algorithm using Python Scikit Libraries. 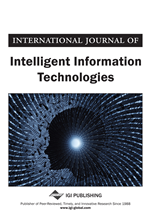 Research work pertaining to secured IoT based Traffic signaling system employing machine learning have been based on drawbacks of the existing system. So, in this section, we would be looking in depth various literatures available towards development of our system. These are discussed below.